It’s been just over a couple of days when the friendship day have got over and our phones have been loaded with friendship day messages on social media. There is an old saying, “A friend in need is a friend indeed”. This is so true, isn’t it? It is very important for you to make or have friends in their life as they are the ones with whom you can share your feelings. Friendship is one of the best thing in this world that has no demand and no complaints. Good friends are vital to your mental health and to the quality of your life. Friendship is an opportunity to love, to learn about yourself, to mature as a human being, and to open up to the full experience of life. Often, we hear phrases like, I’m not here to make friends whenever people begin a new job so its best keep things professional at work, right? However, it turns out that having friends at your workplace can impact your life for better. 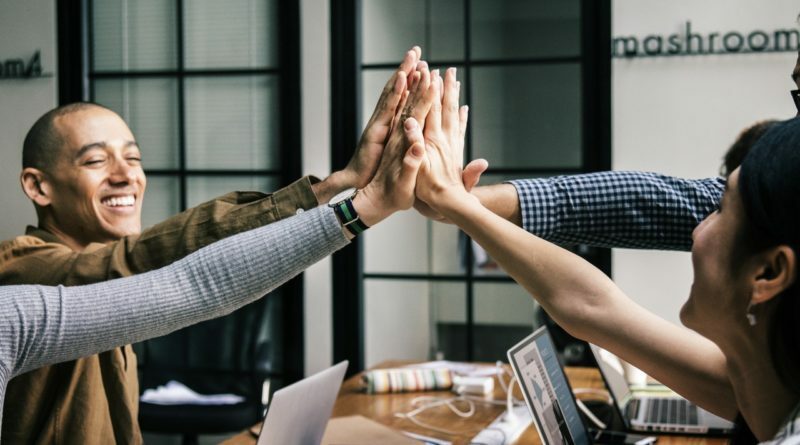 A research from Gallup have proved that 43% are more likely to report having received recognition for their work are those who have friends at workplace. There are many organizations who support camaraderie at work as it helps gain constructive feedback and recognition. In addition, there are many organizations who promote 360-degree feedback mechanism where employees can openly discuss about their progress. In another survey, it has also been proved that 76% people clearly say that peer praise is very motivating. It is true that having friends at work will make you 50% happier, and if you are happy then it will make you 12% more productive. Though, it is not just being happy that makes us more productive, but friendships also help support knowledge sharing within the organization. This in turn helps increase productivity and also helps to innovate. It is very important for an organization to build a work culture that is productive in nature. This is possible when friends work together because they relish any opportunity they get to socialize outside of work. Tom Rath, in his book “Vital Friends: The people you can’t afford to live without” clearly outlines the research, which shows that the employees who have best friends at work are 7 times more likely to be engaged in their jobs. So, the more friends you have in office, the more engaged you become at work and thus makes your lives much better. It is true that good friends do not just agree with you but rather they motivate and inspire you to greater heights. Moreover, if you have good friends at work then they help you to see things from different perspective. In addition, they help you to explore new ideas at the workplace. So, it is very important to have a collaborative environment if we want an organization to progress further.